When I saw The Fadeaways the first time I was blown away by their incredible high energy music and striking stage personality. Three guys in identical striped T-shirts entered the small stage at the UFO Club in Higashi-Koenji and literally exploded! Few bands can match the pure energy and attack of The Fadeaways on a good day. Musically, they come off like something of a 60s version of The Ramones crossed with every garage band off the classic Back From The Grave compilations. The Fadeaways have been around for a while now – they celebrated their 10th anniversary in 2015. The members Toyozo (vocals, bass), Sakura (drums) and Assman (?!) (guitar) have the kind of energy that can only come from honing your act at thousands of gigs across Japan. 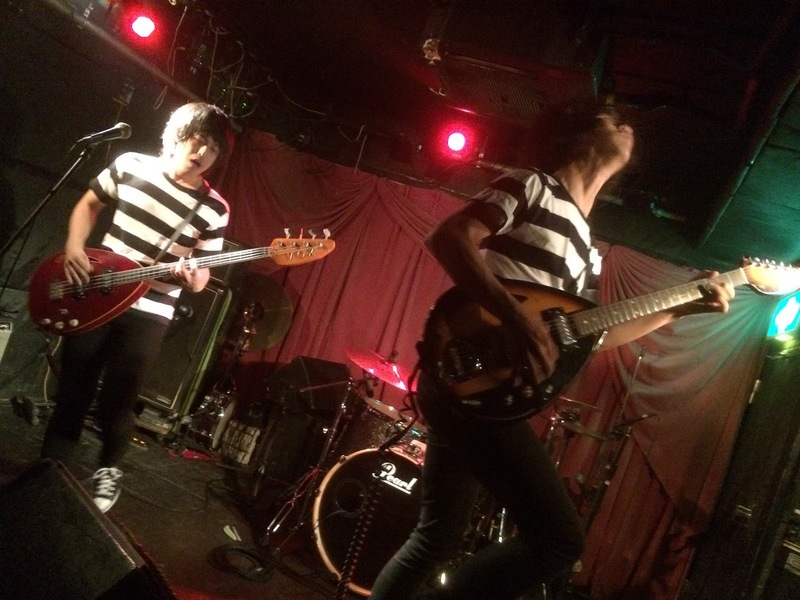 With Tokyo as their home base, The Fadeaways have not only played in towns like Osaka, Kobe, Hiroshima, Nahoya, Sendai in their homeland, they have also toured the US several timers and recently did their first Scandinavian tour. The Fadeaways don't have any official music videos yet, but there is plenty of live footage that can give you a taste of what to expect. And here they are in full riot gear at Halloween ball at Shinjuku Loft! Dig that wild cover of Land of a Thousand Dances! The Fadeaways have a regular event, Teenage Shutdown, at Heavy Sick in Hatagaya, where they invite friends such as Guitar Wolf, Jet Boys, The Let's Go's, and many more. 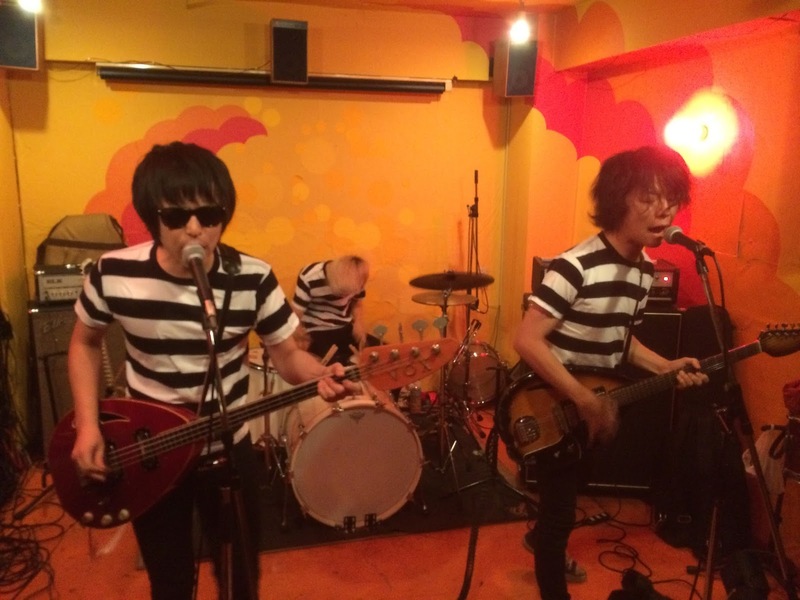 You can also catch them around Tokyo most weekends at UFO Club, Green Apple, and your other favorite live haunts.